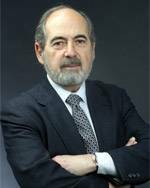 It was late at night here in Europe when a friend of mine alerted me to the sad news of the passing of Michael Getler, my predecessor in this office at PBS. Michael’s long and distinguished career in journalism was known to me but I only got to meet him once, after I took on the position of Public Editor. He was kind and generous and in a luncheon gathering of other distinguished public editors and ombudspersons I was struck by his graciousness and his continued interest in the important issues of journalism today, despite his retirement. Since I didn’t know him personally I have asked his long-time assistant (and now mine) Marcia Apperson to share her remembrances of Michael with you, his audience. Current For nearly 12 years, Michael Getler used this space to post hundreds of ombudsman columns to address concerns raised by PBS viewers. And during that time I had the high honor and privilege of working alongside him. It is with a heavy heart that we now use this space to mark his passing on Thursday, March 15. Mike leaves a legacy of extraordinary journalism. His career in reporting, editing and serving as ombudsman at The Washington Post and PBS is well documented. There are many, many articles, columns and interviews people can access. There’s a trove of quotes from him about the importance of journalism. But what only those fortunate enough to be in his sphere can truly appreciate is that Mike was a rare combination of tough newspaperman and gentle, kind soul. He was a wonderful man and an exceptional boss and mentor. A true gentleman. Mike started at PBS in November 2005. He hired me to assist him in getting the new ombudsman’s office up and running since he was the first person to have this role in the then 36-year history of PBS. I came onboard a couple of weeks after him. To people who did not know us beforehand, they thought we came as a package deal. That’s how we ended up, but in the beginning he took a chance on someone in her mid-20s who had recently moved to D.C. and was looking for a new job. Little did I realize at the time what an adventure I was about to go on. It was as thrilling as you would imagine—he’d tell stories of his young days at the Post in the 70s, having his phone tapped, lunches with Ben Bradlee. He rubbed elbows with the biggest names in journalism, because they were his friends and colleagues. In that regard, he seemed like a super star. But he didn’t carry himself that way. He delighted in telling the stories, but he didn’t have a bit of ego to him and he’d still ask if you’d like a cup of coffee every morning. He wanted to know how you were feeling, how your family was doing, what you had planned, what gossip you heard. He cared. And he took the time to let you know it. I was fortunate to witness him doing his craft day to day. All those experiences he had as a reporter and editor informed the criticisms he wrote later as an ombudsman. It was a methodical process to prepare and write the columns. If the time pressure allowed, he would usually take several days to put together a draft. He would pull together a stack of information, much more than he quoted or linked to in the final piece, and add it to the piles of papers on his desk. He would pore over articles, transcripts, research, videos or whatever it took to fully understand the issue at hand. Then, the truly fascinating part was how he’d synthesize all the material and churn out an insightful draft. That’s when I could truly appreciate his skill. More work, thought and care went into those columns than many people probably realize. And he was a master at it. His years of experience and knowledge and understanding of journalism made him extremely good at being an ombudsman, but that didn’t mean it was always easy. The role is oftentimes thankless and lonely. Mike always tried to find the right balance of being tough and challenging, but being fair and humane to those he was criticizing. He would sometimes agonize over making sure he struck just the right tone and used precisely the correct language. People didn’t always like or agree with what he wrote, but you’d be hard-pressed to find someone who didn’t respect his decisions. He was the ultimate journalist. At his very core he believed the press is vitally important to the strength of our democracy. He took the time to teach and inspire generations of younger journalists. But nothing was more important to him than his family and friends. If there was a graduation or soccer game, he was going to be there. As the boss, he made sure I had the time to spend with my family as well. And when my young daughter came to visit, he was more than happy to allow her to skip into his corner office for a chat. He and his wife, Sandi, were always good and generous to my family. In between grappling with ethical issues and responding to angry emails, we had a ton of fun. There were high fives, work potlucks, birthday donuts and countless laughs. At his retirement luncheon last year, Mike and I agreed that we had had a good run. It was my great pleasure to have gotten to work with Mike during the final phase of his career. It was the highlight of my journalism career so far. 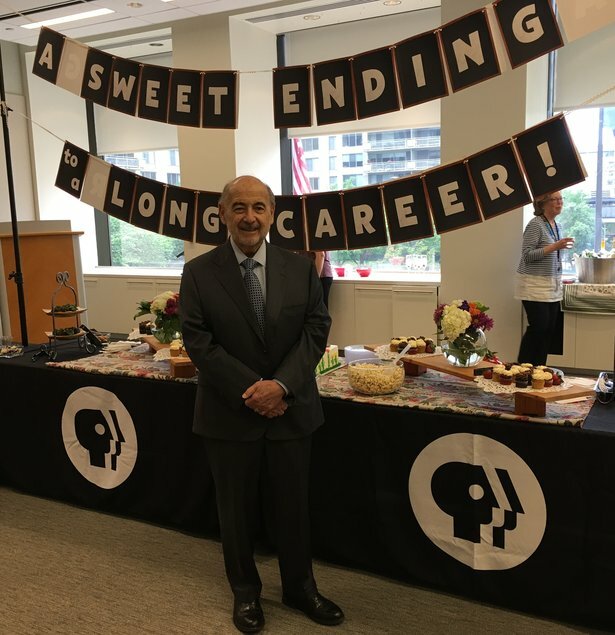 All of us at PBS are better for having had him as an ombudsman and a friend. Posted on March 17, 2018 at 12:57 p.m.